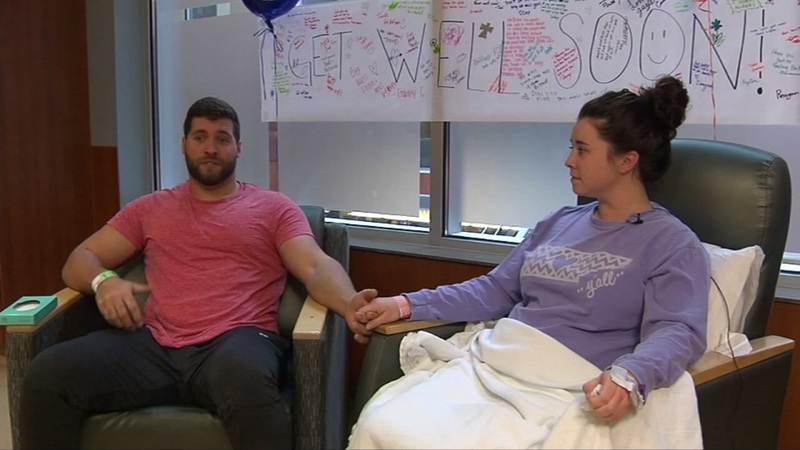 NASHVILLE, Tennessee -- A couple from Nashville, Tennessee, discovered that they are the perfect match for a lifesaving kidney transplant surgery. Matt and Britney Steward found out last September that Britney's kidney disorder went from bad to worse. She was added to the state's transplant list, and the search for a donor began. Her husband Matt also jumped into action, being the first to offer his own kidney to his wife. After testing, doctors found out that despite Britney's rare blood type, A-B, Matt was a perfect match. "I pretty much put myself on the top of the list, said you know what let's go ahead and knock myself out of the way. I tell everybody, I've already given her my heart and my money. Might as well give her my kidney, too," said Stewart.